Designed by a former Samsung engineer, this award-winning line of heavy duty, commercial-grade food storage containers might be the last you’ll ever own. Just slide, snap and lock lid securely in place using the patented single hinge locking system. 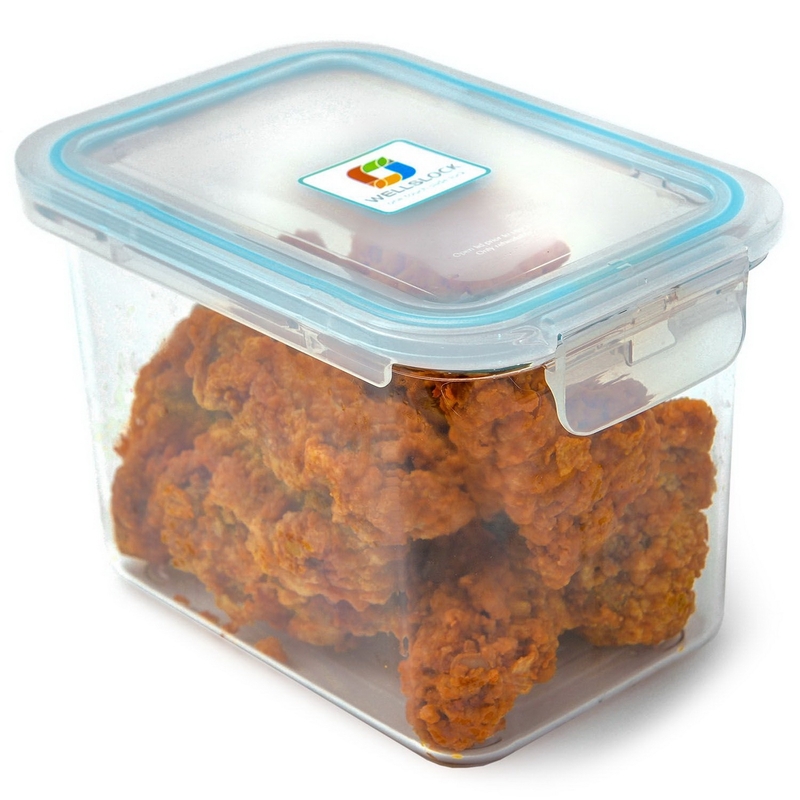 Featuring a silicone seal lid, the containers are airtight and leak-proof. 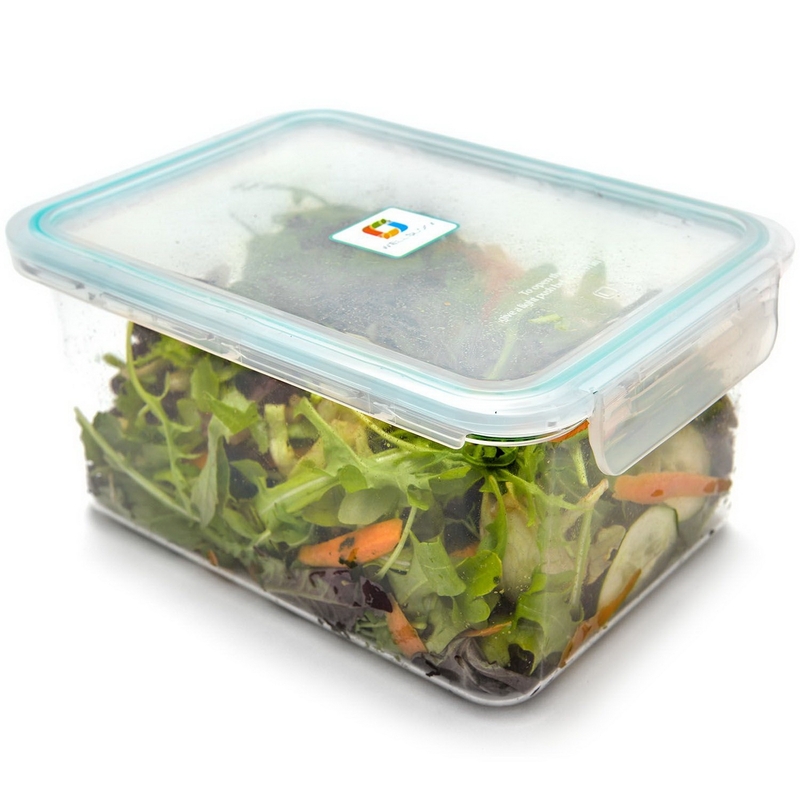 Food stays fresh longer and transports without spills. With Wellslock’s Limited Lifetime Warranty, it’ll take doomsday to destroy these beauties! Experience hassle-free, leakproof food storage with this set of one-lock containers and lids from Wellslock. The containers' unique design features a single latch-lid with an airtight seal that's great for storing everything including liquids like soups and sauces. The simple, stackable design with only one lock for efficient compact and side-by-side storage. 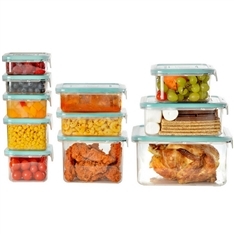 Made of clear, BPA-free thermoplastic, the containers allow you to easily view the contents and are resistant to shattering, stains and odors. Safe to use in your microwave, freezer or dishwasher, the multiple sizes are perfect for meal prep. 2 square containers with lids, 8 fl. oz. 1 one square container with lid, 10.8 fl. oz. 2 square containers with lids, 15.8 fl. oz. 2 rectangle containers with lids, 16.9 fl. oz. 1 square container with lid, 28 fl. oz. 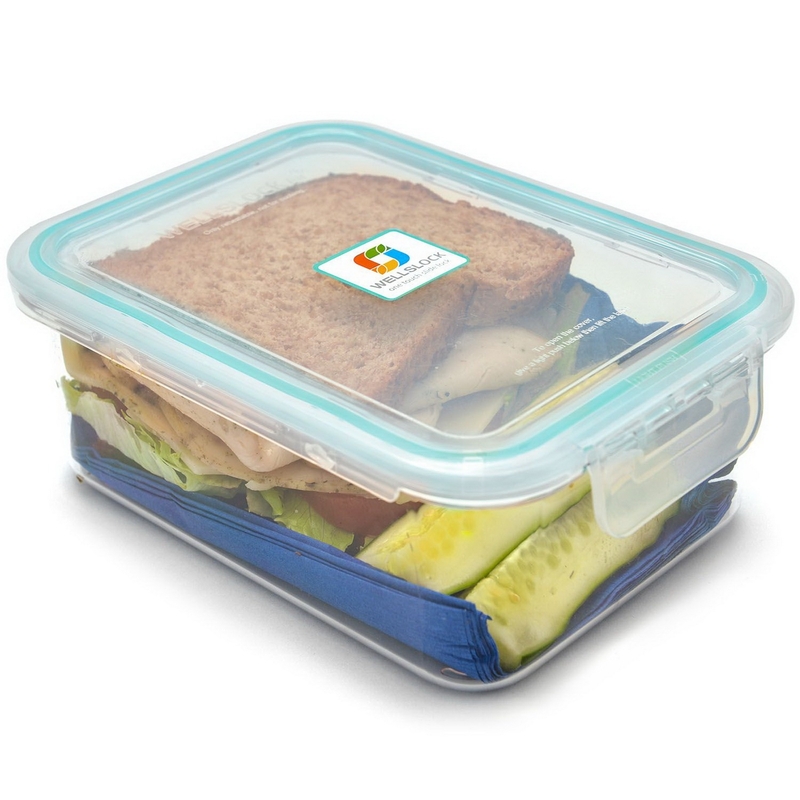 1 rectangle container with lid, 37 fl. oz. 1 rectangle container with lid, 41.5 fl. oz. 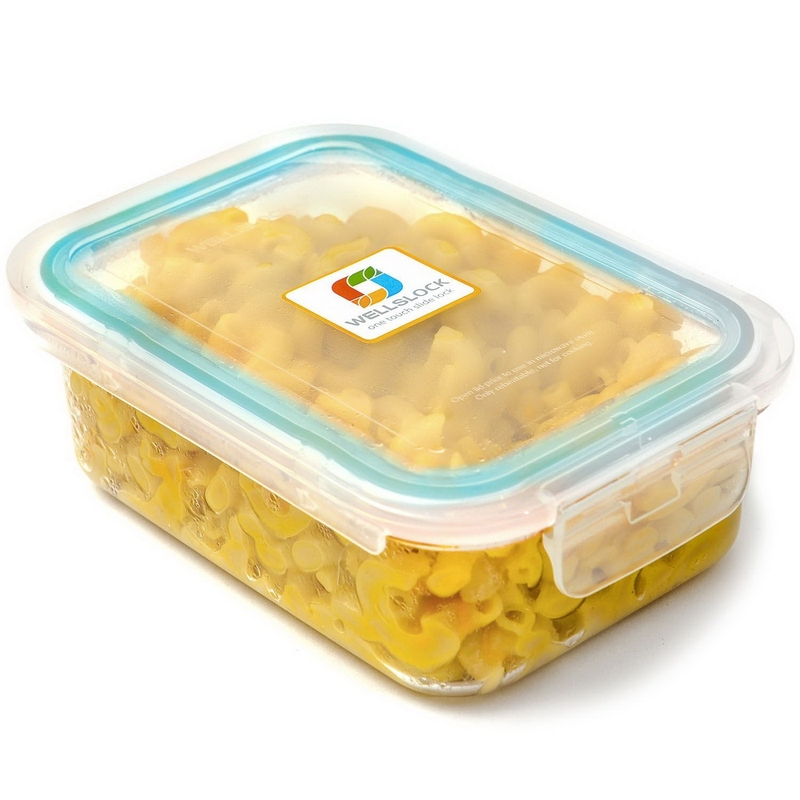 1 rectangle container with lid, 84.53 fl. oz.